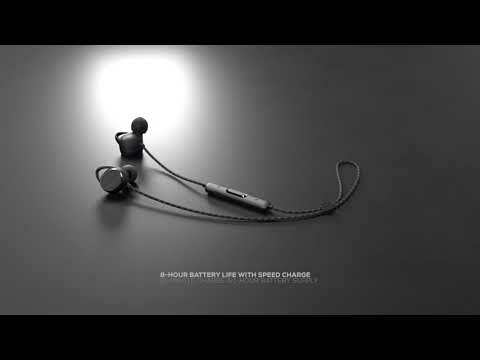 The ultimate in uncompromised sound quality. Stream your favorite songs in the highest quality. Delivers uncompromised wireless sound quality in an even higher rendition. Enjoy your playlist without recharging during a full day of work. Even if you only have 10 minutes to recharge, you can enjoy your music for another hour. Conveniently control both your music and your calls with ease. Just double click the multifunction button to access Siri or Google Now. An eye-catching and durable addition that perfectly complements the semi closed back design of the headphones. The magnetic units on each ear-housing ensure the ear pieces hold together when the headphones are not in use to avoid tangling and easier cable management. Portable reference sound that inspires you. Introducing the AKG N200WIRELESS headphones. Meticulously crafted with an ergonomically-shaped hook and rounded housing for comfort and fit, they are distinguished by premium materials such as their durable fabric cable, exquisite metal housing and patterned accents. 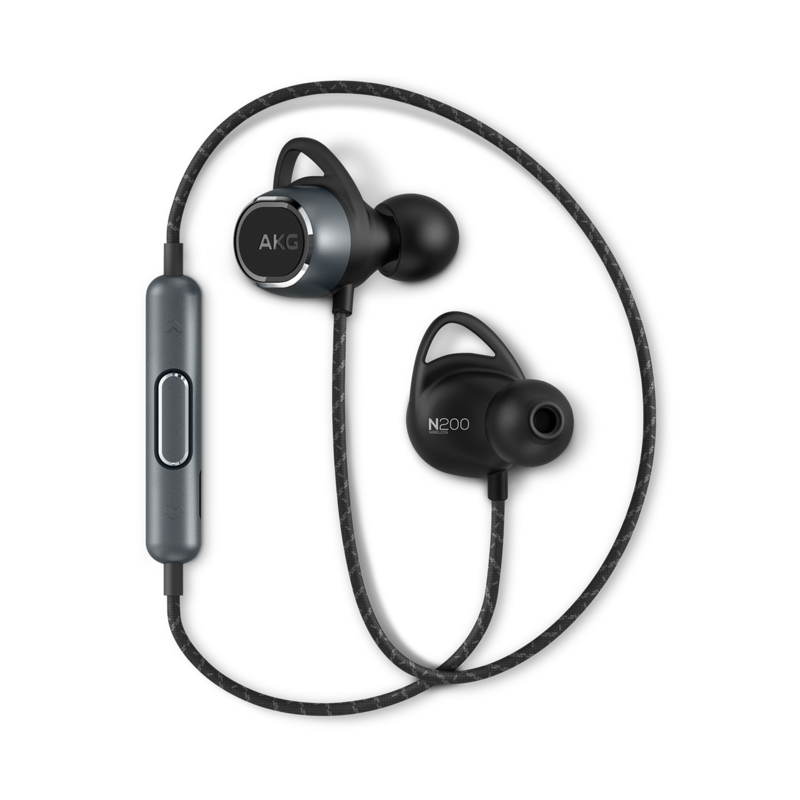 Engineered with a semi-closed back, to provide superior acoustic dampening, the AKG N200WIRELESS in-ear headphones deliver a reference level sound experience. Thanks to Apt-x technology and AAC high quality audio support, they provide uncompromised audio quality when streaming music wirelessly. With an 8-hour battery life and a 10-minute speed charge for a handy 1-hour battery supply, they are also equipped with a 3-button universal remote and microphone for easy calls and music management for extra on-the-go convenience. Immersing yourself in stunning, reference quality sound outside of your home is made even better thanks to the magnetic cables that avoid tangling. Plus, four different sized ear tips are provided to guarantee a perfect fit and our thoughtful accessory package includes a power cable, cleaning tool and carrying pouch. AKG N200WIRELESS is rated 3.7 out of 5 by 3. 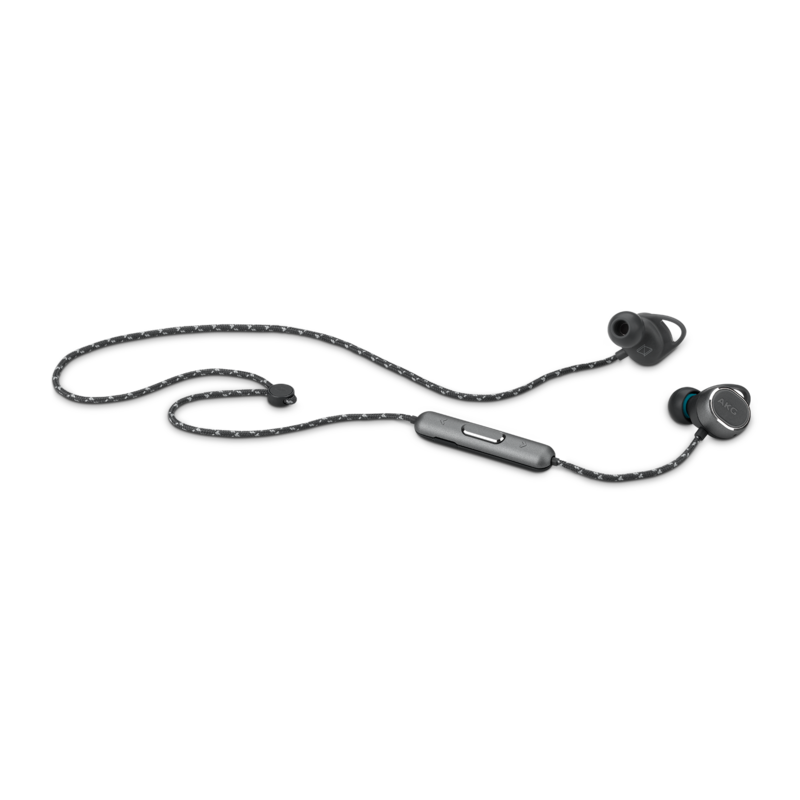 Rated 5 out of 5 by SocialPR from Epic sound, debatable design Epic sound quality but agree with other reviews in terms of the design. I have only charged the headphones for the first time and the usb cover pokes out and looks fragile. Also, the design still having the cable does seem to give the wireless freedom like other competitors. But, the sound is sensational! Rated 4 out of 5 by Shazam from Almost perfect! First off, as far as sound goes, these sound amazing. No complaints in this department. AKG does need to go back to the drawing board as far as design issues. One, the tab, that flips open for the charging cable, does not want to stay closed anymore after a couple uses. Second, the material used on the "rope" that connects the two buds seems to create a lot of friction with the skin on the back of your head and pulls when turning your head side to side. Third and last, the whole magnetic aspect that is supposed to keep the two buds connected together is not all that great. Its probably the driver magnets but the idea of it holding the buds together while not in use is a total gimmick. Rated 2 out of 5 by Mahmood from Battery really great I bought last week product AKG N200 and I noticed poor bass and no software from AKG support the product. Is it possible to go to Best Buy to try these out before i purchase them? Hello! We do not know if Best Buy allows customers to test a product before purchasing it, but you can always ask them if that would be possible. What kind of charger do these use? The headphones comes with a regular micro-USB charging cable. Will this pair with Apple&rsquo;s MacBook Pro? Hi! The AKG N200 utilizes the standard Bluetooth Stereo Audio drivers available in most computers. There are two different Bluetooth protocols, one for Headset Audio used for talking on the phone, and the other for high quality stereo audio listening. Your laptop should be able to connect to the headphones using the Stereo Audio protocol. Your best bet is to go into your control panel and find the Bluetooth setup. This setup usually provides a setup wizard and will take you through the steps to install the drivers needed for Stereo Audio. Also, we do have refurbished products being sold, but these products are tested and works as a brand new product which are approved by our engineers. If you further help with your product, please submit a case request at https://www.akg.com/support-contact.html and the Customer Service Team will be more than happy to assist you. Do these have ambient sound like the y100? Hello! No, the N200 will have an AKG reference sound meaning it will provide superior acoustic damping. While the Y100 will feature the&nbsp;Ambient Aware technology that lets you listen to your music while keeping in touch with your surroundings. How to setup N200 to pickup voice from headset microphone when recording in recorder app on phone or laptop? Currently it seems only pickup voice from microphone on phone or laptop. Hello! The microphone for the N200 wireless is designed for voice calls and to use voice assistant such as Siri and Google Home. It is not capable of recording voices through the earphones and you should use the microphone from the source (phone or laptop) instead. Are the AKG N200wileless sweat resistant? Hi! Unfortunately, the N200 is not sweat resistant. Hi! Unfortunately, the earphones can only work through wireless connection.